I resisted this when it came out. 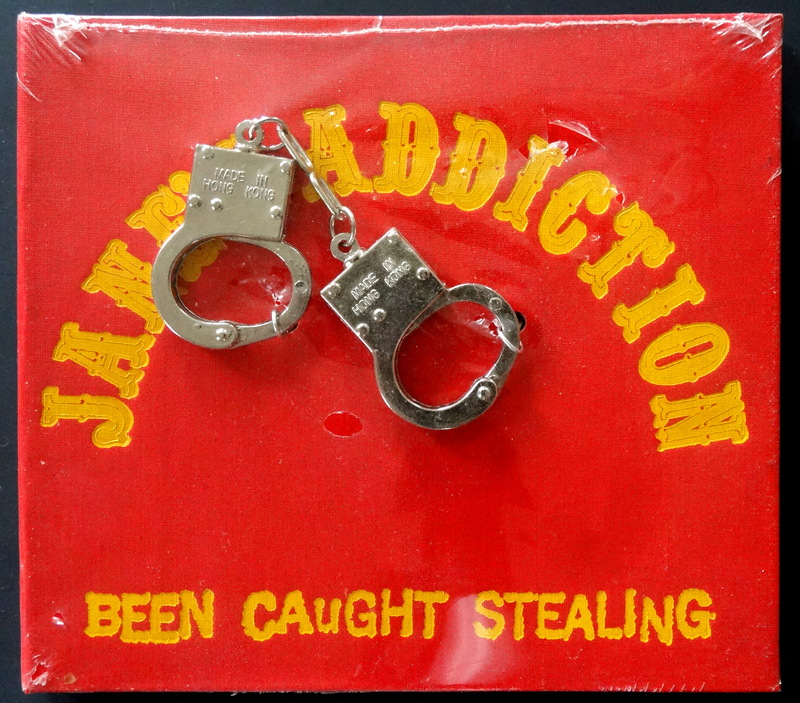 Musically there was no difference between this version of the “Been Caught Stealing” CD single and the regular issue, and I already owned that. Did I really want to buy a second copy just because it was packaged with a tiny pair of working handcuffs? And so it sits on my shelves, never opened, never played, collecting dust and waiting for someone to come along and show a little interest. Thanks for being that person. If you can find an unopened copy expect to pay around 25 bucks, or for a quarter you can probably get some little handcuffs out of a gumball machine. Happy hunting. Those remind me of Steve Martin’s old ‘Cat Handcuffs’ bit.